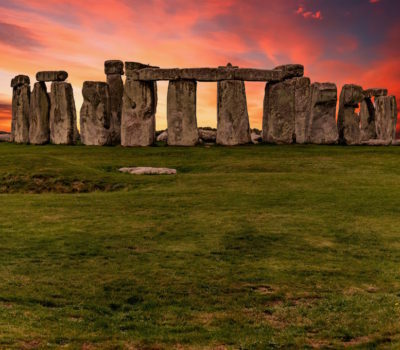 To celebrate the long-awaited arrival of spring, Fromagination is taking you across the pond to the British Isles from March 15th through May 1st. What’s the Craic? We will be starting our tour of the British Isles in beautiful Ireland, just in time to celebrate St Patty’s Day with a slice of Cashel Blue and a pint of Stout! 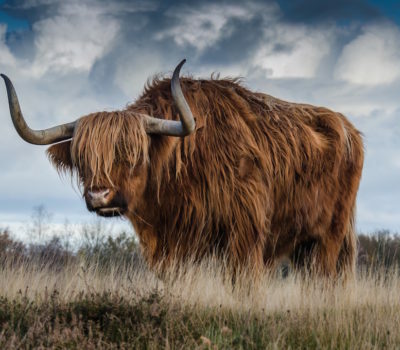 We then head east to England, for a little tea and cheese. 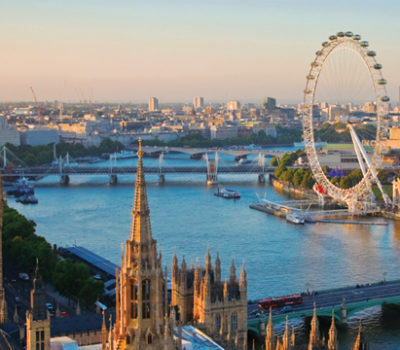 From the rolling hills of Yorkshire to the cliffs of Dover, through the wonderful markets of London, let us marvel you with the sights, smells and flavors that make these small islands so special. 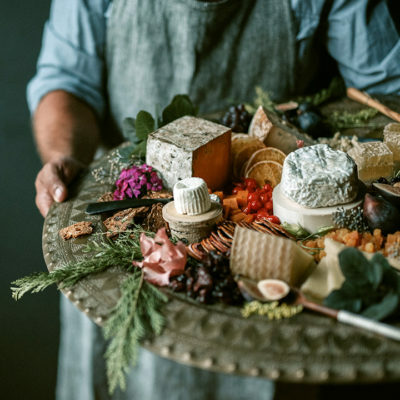 During our escape to the British Isles, we will carry a line of cheese from Neal’s Yard Dairy, in addition to launching an exclusive line of Bellocq teas to pair with cheese, preserves, honey, biscuits. 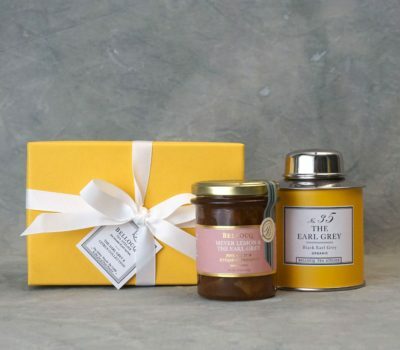 We will offer a afternoon tea and cheese sampling as well as classes on pairing cheese with tea. 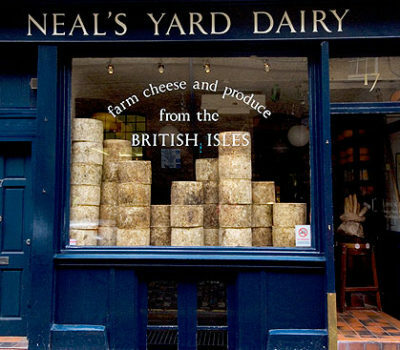 What is Neal’s Yard Dairy? 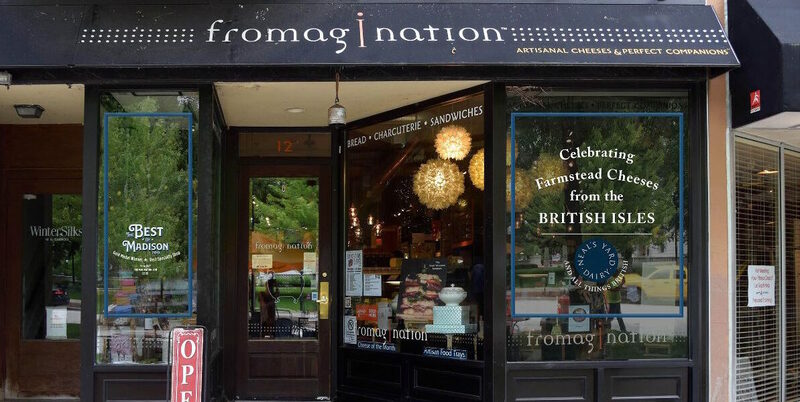 Neal’s Yard Dairy is Fromagination’s British counterpart. 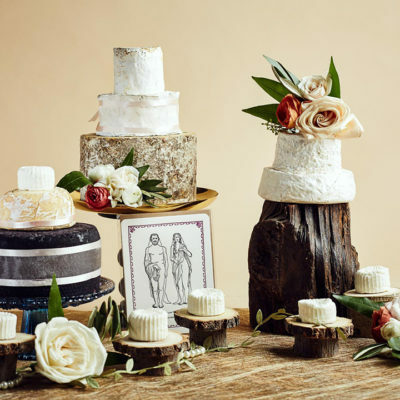 It shares similar values with regard to supporting and promoting local artisan cheesemakers. Neal’s Yard Dairy selects, matures and sells farmhouse cheese from all over the UK and Ireland, and works with about 40 cheesemakers. 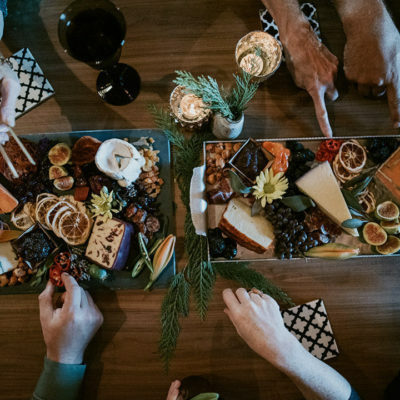 Their employees visit their partner cheesemakers to taste their cheese and select the batches they want to mature and sell. 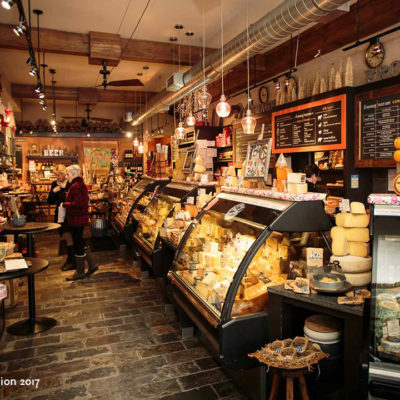 Neal’s Yard Dairy is the gold standard for all cheesemongers. 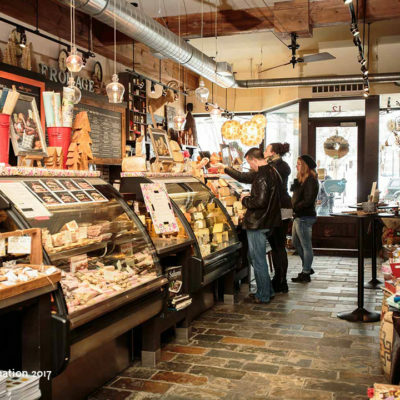 We’re proud to partner with such an establish cheese institution, and share its story with you. 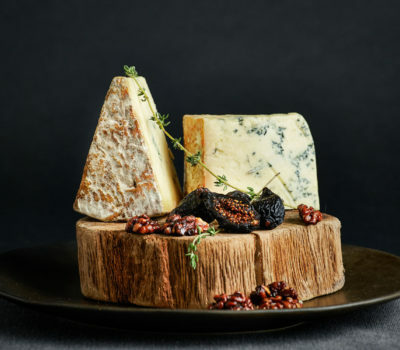 We have selected for you, the best of the best of British cheeses, from Colston Bassett Stilton to Wensleydale Creamery Cheddar. 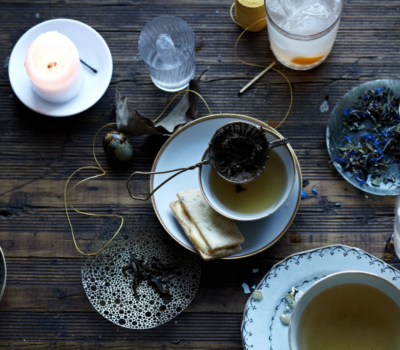 Bellocq Tea Atelier, is a little specialty tea shop tucked away in a quiet corner of Greenpoint, Brooklyn. They specialize in whole leaf, organic and herbal bland teas. 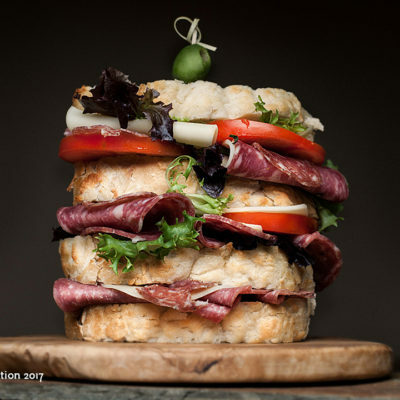 Tea is rapidly becoming the new Foodie craze and Bellocq is definitely leading the way in terms of quality, variety and flavor. Fromagination is currently the only distributor of these incredible teas in Madison, Wisconsin. 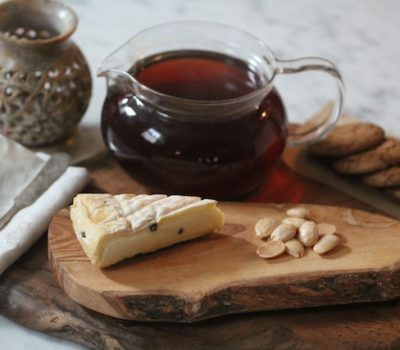 Make sure to stop by the store for a unique tasting experience by pairing cheese and tea! 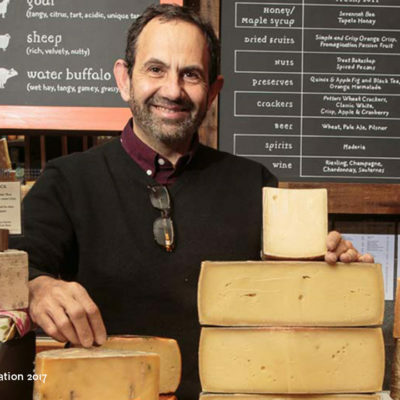 This week, Fromagination owner and cheesemonger Ken Monteleone was interviewed by the Capital Times about his experiences, joys and challenges in owning and running a successful specialty cheese shop.